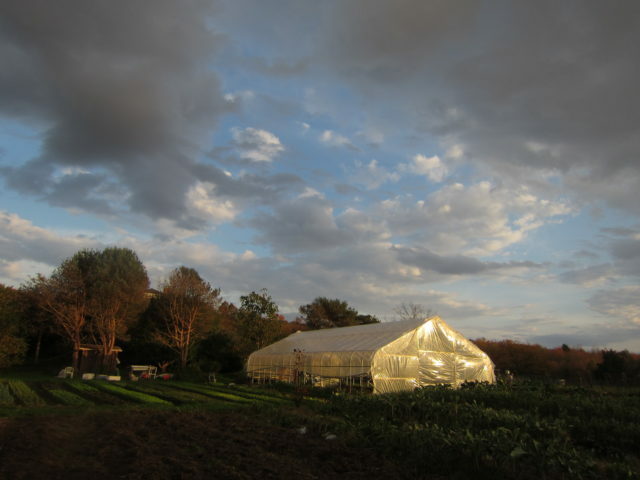 In New York State, NYFC has been advocating for the expanded use of working farm easements that not only protect the land, but also the farmer, by keeping land affordable and in farmer ownership. We recently had two significant successes in this effort. For the first time ever, easements that protect farmer ownership were made eligible for funding in the State’s Farmland Protection Implementation Grant program. And our bill that would make this change permanent passed the Assembly and the Senate and is awaiting transmission to Governor Cuomo for his signature. Working farm easements are agricultural conservation easements that include special provisions, known in New York as ‘preemptive purchase rights,’ to ensure land is sold at its agricultural value, and therefore at an affordable price for farmers. NYFC, together with a broad coalition of stakeholders, has been advocating for the state to fund such easements. In late May, the New York Department of Agriculture and Markets included the use of preemptive purchase rights as an eligible cost in its latest request for proposals for farmland protection projects. Preemptive purchase rights strengthen farmland conservation easements by stipulating that the protected land must be sold to a working farmer at the time of sale. If no farmer is found then the land trust that holds the easement has the right to purchase the land at its agricultural value (what a farmer would be able to afford) and transfer it to a farmer owner. Although land trusts in New York have already begun to implement easements with voluntary provisions that protect farmer ownership and affordability–such as the preemptive purchase right–the added cost of these protections was previously ineligible for state funding and had to be covered through private fundraising. 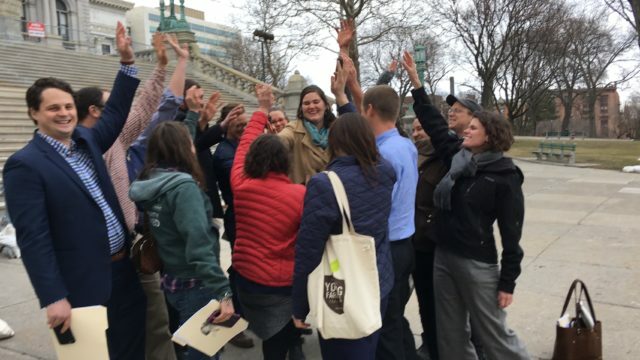 Now that land trusts can access public funding for these projects, we hope that the base of land that is permanently protected and affordable for farmers will grow in New York. Building on this major win, with the help of New York State Assemblymember Didi Barrett (D-106), Senator Patty Ritchie (R-48), and our 42 co-sponsors in the Assembly and 21 in the Senate, the Working Farm Protection Act unanimously passed both houses in mid-June and is now waiting to be sent to the Governor’s desk to be signed into law. 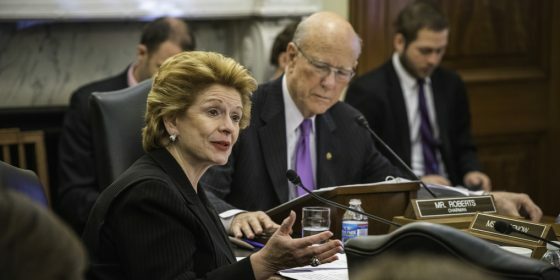 If signed, this bill will secure the Department’s recent progress in statute, provide additional clarity regarding the purpose of farmer ownership and affordability provisions, and leave room for land trusts to develop similar innovative tools that fit farmers’ needs in their regions. 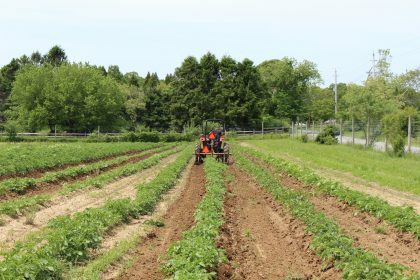 We are thrilled with this recent progress and are hopeful that the bill will soon become law, making New York the first state in the nation to put funding for affordable farmland protection into statute.